Ireland's prodigal sons Kodaline have announced their brand new album, Politics Of Living, set to arrive on August 10th on Sony Music. To accompany the announcement the guys released their gospel-tinged new single Shed A Tear, which impacts on August 3rd. Loving this powerful pop/soulful song guys! Stream it below! 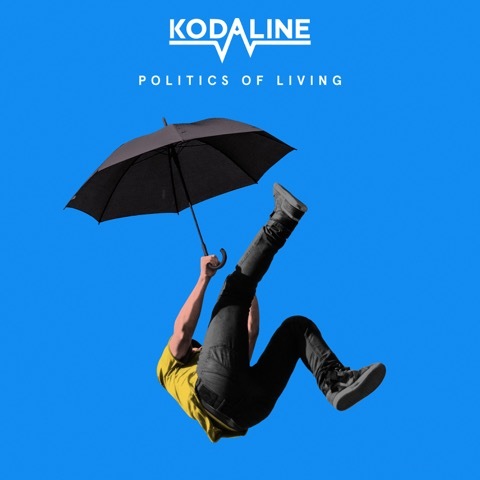 Politics of Living sees Kodaline team up with some of the hottest production and writing talent imaginable including hitmaker supreme Steve Mac (Shape Of You by Ed Sheeran), pop guru Johnny Coffer (RagNBone Man, Beyonce), Jonas Jeberg (Dizzee Rascal, Kylie Minogue), Stephen Harris (Miles Kane, Kaiser Chiefs) as well as long-time collaborator Johnny McDaid (What About Us by Pink). Their new sound germinated during sessions with Kygo two years ago on the global hit Raging, and was quickly followed by last summer's radio mainstay Brother. Earlier this year saw the release of one of their best ever singles, Follow Your Fire, a slice of powerhouse pop, which showed the band are ready to cement their place amongst the UK's best in 2018.